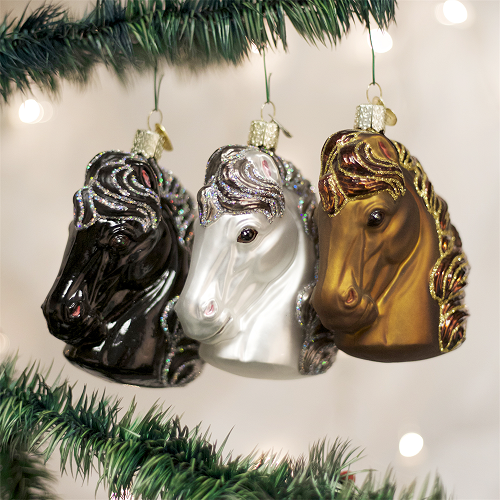 These beautiful glass ornaments will surely delight any horse enthusiast! Crafted with a traditional European appearance. Hand painted with lots of detail and subtle glitter accents.